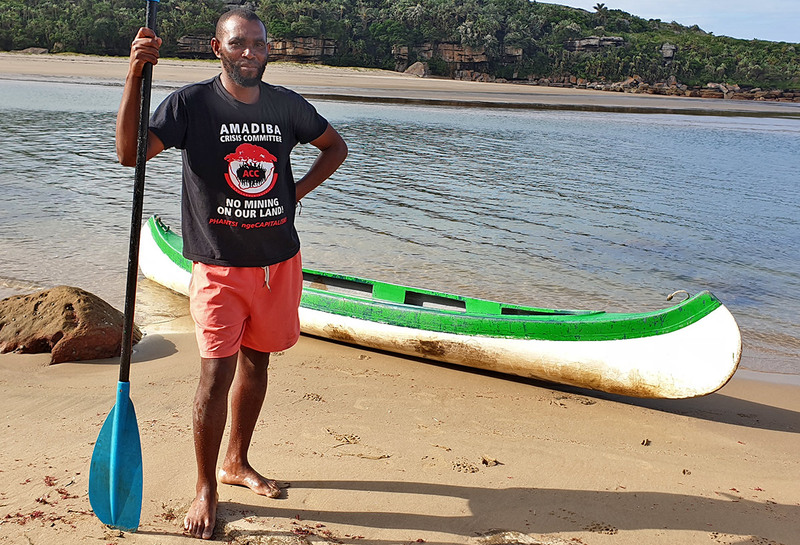 Wavescape has teamed up with the Wild Swim, an environmental fund-raising project to prevent a special piece of Pondoland from being dug up into a titanic titanium mine, writes Spike. Ten open water swimmers will swim just off the backline for 22km along the coast of Xolobeni, which remains embroiled in a fight for its survival against politically-connected big money, to raise R250,000 that will be used to resist the Pondoland Marine Protected Area (MPA) from being turned into a giant titanium mine, as well as marketing Wild Coast eco-tourism and training young environmental journalists. The Wild Swim has been put together by Fred Kockott, 56, founder of environmental journalism training agency Roving Reporters after accepting a dare to swim the Wild Coast (full story at bottom). It has grown into a much bigger project endorsed and supported by the 8 Mile Club, who raised more than R4 million for charity at the aQuellé Midmar Mile this year. There are now a host of partners, including Wavescape, each tasked with logistical support, cash donations or assistance in raising a portion of the target. Wavescape will raise R5k towards the project (please help us reach this target by making a donation on this Wavescape crowdfunding page). Spike will also give free weather consultancy for the swim. The window for the swim lies between 26 April and 1 May, and the swimmers will swim from Mtentu River to Mzamba, or vice versa, over a few days pending weather, winds and currents. 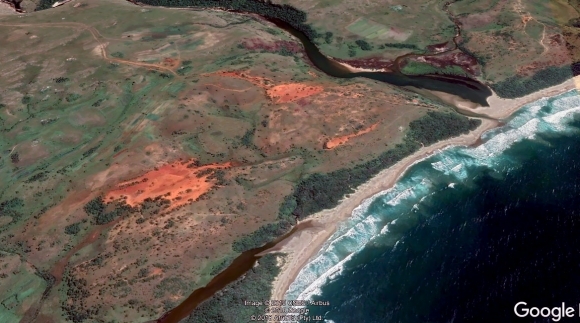 The Wild Swim wants to prevent Australian corporation Mineral Commodities Limited (MCL) from executing its plan to extract 350 million tons of titanium ore, with an estimated value of R2.7 billion, from the Pondoland MPA. This coast has immense potential for sustainable eco-tourismThe stretch of coast north of Mbotyi and south of Port Edward comprises pristine estuaries and unique coastal habitats, while also the ancestral grounds of the Pondoland people. Having just returned from a hike through the area, I can agree that it is worth saving. The Xolobeni coastal region is a truly magical part of the world. This coast has immense potential for sustainable eco-tourism. Word on the street is that some bribes have already been paid, including a 4x4 given to the local king, which is why the MCL are persisting, despite a court decision last year that rules against the mining application. Judge Annali Basson ruled in the Pretoria High Court on 22 November that the Minister of Mineral Resources Gwede Mantashe cannot grant mining rights without "the full and formal consent of the Xolobeni community". However, Mantashe continues to support the mining application. It has been reported that the government and officials are set to make millions in "commissions" if the mine goes ahead. Since then, MSR, via "its 56% owned South African subsidiary Transworld Energy and Minerals" (see the explanation on the MCL website) says it "holds the prospecting rights for the world class, large-scale Xolobeni Mineral Sands Project". But at the time in 2007, a community initiated group called the Amadiba Crisis Committee (AAC) was formed to protest the application. In a sinister turn of events, the Chairman of the AAC, Sikhosiphi 'Bazooka' Rhadebe, was assassinated in 2016. I covered this on Wavescape at the time. According to reports, Amnesty International has urged South Africa to respect indigenous peoples' rights and to protect threatened advocates of these rights, such as a co-founder of the ACC, Nonhle Mbuthuma, who continues to be outspoken against the plan. 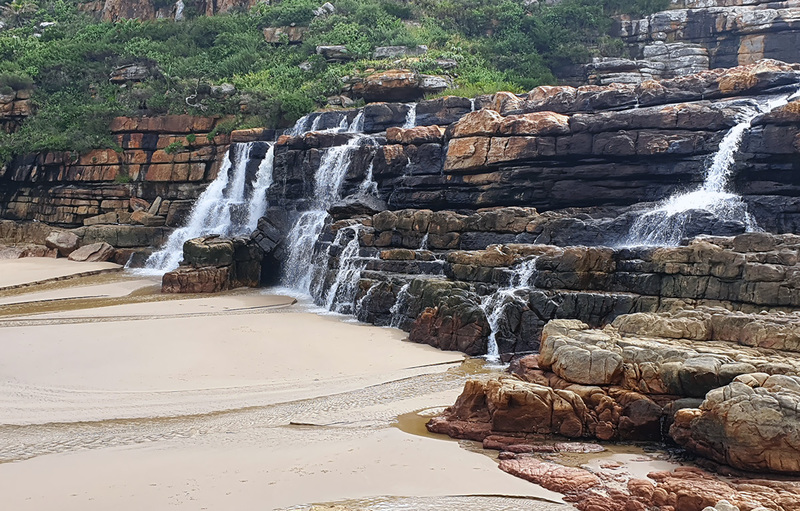 Funds from the Wild Swim will be allocated as follows: Africa!Ignite and Sustaining The Wild Coast (eco-tourism): R125,000; WildOceans and the Pondoland Marine Protected Area (marine conservation) R62,500; and Roving Reporters (environmental journalism training): R62,500. Surplus funds raised will be awarded to the 8 Mile Club to cover the costs of organising the next Wild Swim in 2020. People like well known conservationist, surfer, diver and PR guru Olivia Jones will be throwing their weight behind the project to ensure maximum exposure. Numerous articles have appeared already. The ten open water swimmers will be accompanied by safety kayakers, two safety boats, a jetski rescue operator and a small pod of experienced Ocean Guardian divers equipped with Freedom7 shark shields – the world’s only scientifically proven electrical shark deterrent. Associated aerial surveillance and HD drone footage is to be provided by renowned adventure sports cameraman and safety officer, Gordon Date, who is directing the safety team in association with Med-Evac, the NSRI and SAPS. Accommodation is to be provided to the swimmers and the safety team at community-owned homestays along the route. It all started when Kockott - a veteran journalist and keen surfer - accepted a tongue-in-cheek dare after completing eight back-to-back, one-mile swims at the annual aQuellé Midmar Mile in February. Kockott’s Facebook profile pinged with congratulatory messages from many who had doubted the ‘washed up hack’ would complete the feat. Then came the flippant challenge to swim an expanse of Wild Coast waters for a paltry sponsorship of 50c per kilometre. “R1 for the first shark,” responded a Facebook friend. Undetered, Kockott rose to the bait, inspired by the idea of raising funds for eco-tourism and marine conservation along a 22km stretch of Wild Coast earmarked for heavy minerals mining. Kockott’s endeavour was soon endorsed by the 8 Mile Club and the Kydrin Foundation which raised more than R4 million for various charities at the 2019 aQuellé Midmar Mile. Since then, the support for The Wild Swim has snowballed, engaging more than 40 people and organisations in raising funds for the chosen charities: Africa!Ignite and Sustaining the Wild Coast (eco-tourism); WildOceans (marine conservation) and Roving Reporters’ associated environmental journalism training programme.